Seeking to address the investment financing challenge that co-operatives face, this research explores the potential for building on existing legislation in Manitoba to create a province-wide Community Development Investment Fund (CDIF) as a financial vehicle to raise equity capital for co-ops by leveraging the provincial Community Enterprise Development (CED) Tax Credit to encourage equity investments in co-operative start-ups and expansions. 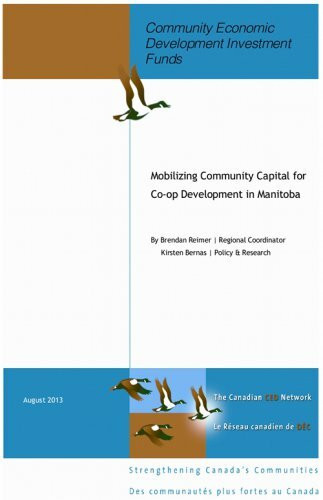 This research will inform Manitoba’s co-operative community in its pursuit of creating new financing mechanisms for co-op development. Provide clarity on the legislative potential for the creation of a province-wide CDIF to act as a co-op equity investment fund that would raise capital for co-ops in Manitoba by leveraging the Community Enterprise Development Tax Credit. Identify models that provide equity capital for co-operative start-ups and growth, particularly those that are capitalized by individuals as investors, and identify the particular nature and structure of each model in order to understand the transferability or applicability to the Manitoba model.